Radcliffe’s Schlesinger Library has acquired the papers of famed activist Angela Davis, including art, photos, public records, and other materials. 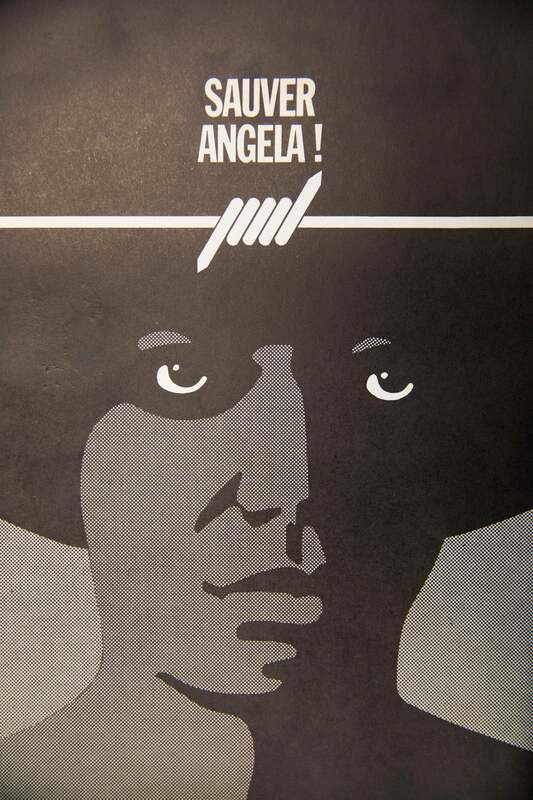 For almost 60 years Angela Davis has been for many an iconic face of feminism and counterculture activism in America. Now her life in letters and images will be housed at Harvard. Radcliffe’s Schlesinger Library has acquired Davis’ archive, a trove of documents, letters, papers, photos, and more that trace her evolution as an activist, author, educator, and scholar. The papers were secured with support from Harvard’s Hutchins Center for African & African American Research. Kenvi Phillips, hired as the library’s first curator for race and ethnicity in 2016, met with Davis in Oakland last year to collect the papers with help from two archivists. Together they packed 151 boxes of material gathered from a storage site, an office, and Davis’ home. Image 1: The FBI wanted poster for Davis. Image 2: Davis (from left), her mother, Sallye, and author Toni Morrison. Photos courtesy of the Schlesinger Library; (2) original photo by "Annie F. Valva, Santa Cruz California"
The collection includes a painting done for Davis by a death-row inmate in California, and a manuscript of her autobiography with edits by her friend Toni Morrison. There are numerous photos of the young Davis, including a shot of her posing with Fidel Castro. Reels of tape from her radio show “Angela Speaks” are also part of the archive, as is material related to her arrest in connection with the 1970 shooting of a superior court judge by an acquaintance who used guns registered in Davis’ name. The arrest drew international attention. That interest is reflected in some of the Radcliffe materials, such as hundreds of letters that poured in for Davis while she awaited trial, and the flowers in paper, felt, and cloth that were part “A Million Roses for Angela,” organized by German supporters. Davis was acquitted of all charges in June 1972. “We haven’t had a kind of central formation for that work, and I think the collection can play a kind of catalyzing role,” said Kamensky. “Angela Davis has always been a pivotal figure in terms of the development of criminal justice reform activism,” said Hinton, who expects to use some of the Davis material in class. A collection of pins in support of Davis and her causes, including her exoneration and presidential run. Over the next year archivists will sort, document, and digitize some of the material in preparation for a series of events in 2019, including an exhibition and a Radcliffe conference featuring Davis that will focus on family, gender, and issues around incarceration. While Kamensky acknowledged that Davis remains a controversial figure to many, she said that the activist’s life represents a core of the radical tradition in which “people with big ideas move the conversation by drawing fire. And she has taken that role as a lightning-rod thinker from a really tender age. Writer Junot Díaz speaks at the "Migration and the Humanities" conference. “It’s no accident that the folks who could most tell us about global conditions are being silenced in such profound ways,” he said.